Although there are probably enough publications about mechanical circulatory support, they do not seem to address the theoretical aspects with sufficient details. A more detailed knowledge of the interaction between ventricular assist devices (VADs) and the cardiovascular system may help with their clinical management with a view to improve patients’ outcomes. The aim is a different approach based on the development of critical thinking that may generate further ideas in the context of current developments. We must understand the time-varying elastance theory, which has played a key role in cardiovascular modelling and is often used for numerical/hybrid simulations of a mechanically supported left ventricle. The limitations of the original concept have led to further modifications of the theory and alternative approaches worth exploring. Ventricular interactions have significant implications in cardiac mechanics and it is extremely important to understand their role during VAD support. 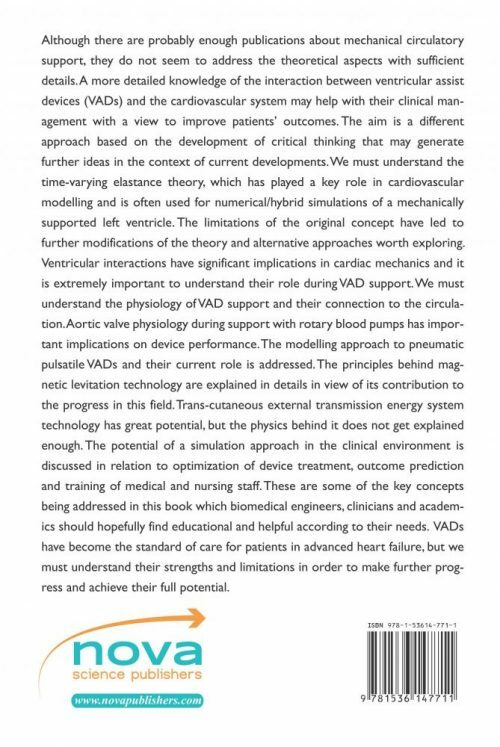 We must understand the physiology of VAD support and their connection to the circulation. Aortic valve physiology during support with rotary blood pumps has important implications on device performance. The modelling approach to pneumatic pulsatile VADs and their current role is addressed. The principles behind magnetic levitation technology are explained in details in view of its contribution to the progress in this field. Trans-cutaneous external transmission energy system technology has great potential, but the physics behind it does not get explained enough. 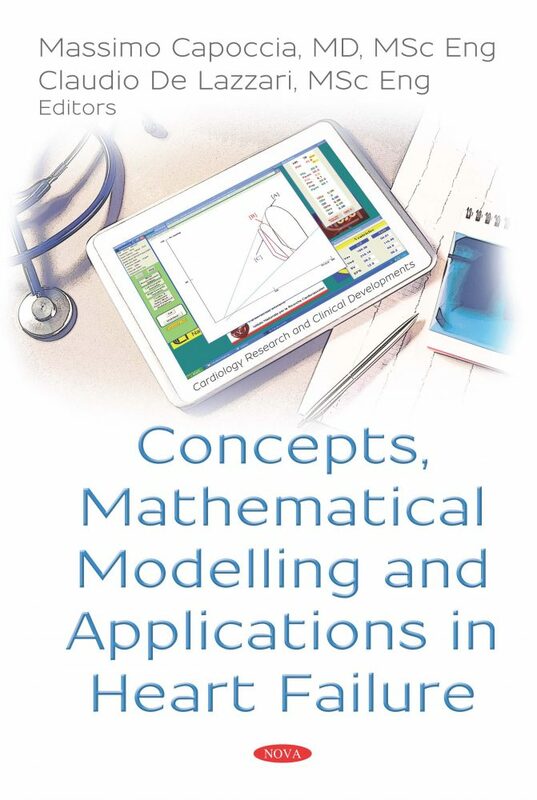 The potential of a simulation approach in the clinical environment is discussed in relation to optimization of device treatment, outcome prediction and training of medical and nursing staff. These are some of the key concepts being addressed in this book which biomedical engineers, clinicians and academics should hopefully find educational and helpful according to their needs. VADs have become the standard of care for patients in advanced heart failure, but we must understand their strengths and limitations in order to make further progress and achieve their full potential. Audience: Bioengineering; Nurses; Biomedical Industry; Companies that make simulation courses in medicine; Universities; Research organizations.